Case - First thing I wanted...was what I've never had before. I've always been a generic, beige box PC kind of guy. I’ve always had plain and boring. I want to be able to move it around easy. 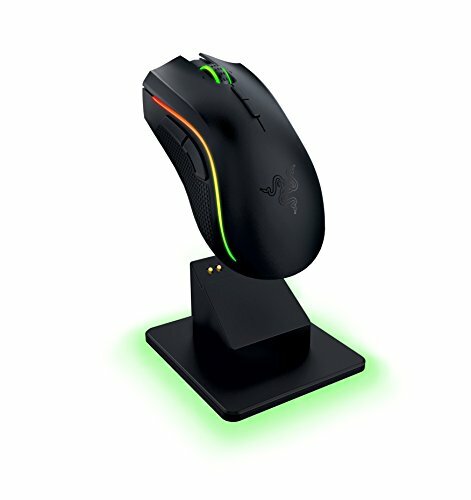 I attend gaming events, and want to take it with me. A handle would be nice. I wanted a black case. I wanted a side window. All were firsts for me. I wanted something that looked like a gamer would own it. I guess I just kind of fell in love with this case. It came closer than anything else, meeting all my criteria, and still appealing to me aesthetically. The red LED case fans and the ability to turn them on/off was a bonus. 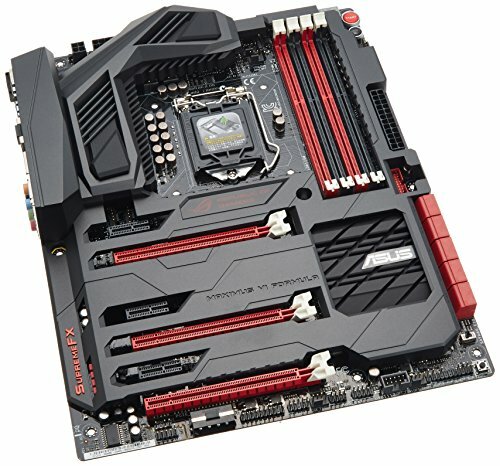 Motherboard - When I saw this board, I knew it was the one I wanted. It had every feature I wanted, and killer looks to match. Because I plan to move my machine around often, a big heavy CPU cooler made me worry about stress on my motherboard. Even if I went with water, I planned on some big GPUs as well. 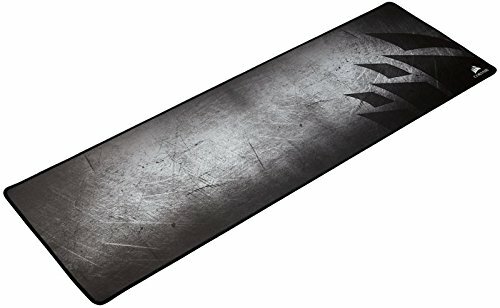 The armor on this board, and the overall build of the board itself, helped put those fears to rest. CPU - Once I had the motherboard decided on, I wanted the best CPU I could put on it. 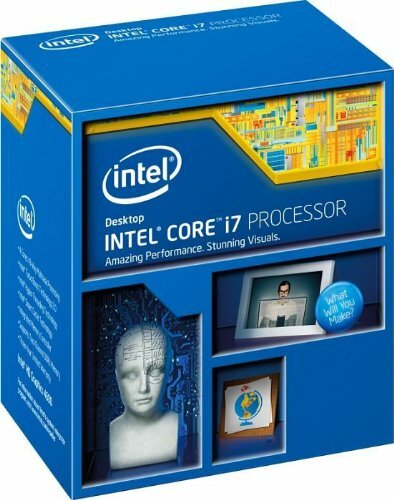 The i7-4770k is it. I thought about the i5-4670k, because my main use of the PC is going to be gaming...even if nothing really uses it right now... it's a little bit of future proofing. For the cost difference between the two...I figured why settle? This may not be a 100% all out build like an X79 with 4way SLI, but it's as close as I'll likely ever come. So let's max this machine out. I didn't win the OC lottery my chip is only stable at 4.2GHz. Still 700MHz faster than stock. I never really considered AMD, even though that's all I had used since the K6-300 was released. Heat and power, AMD loses. Intel just runs faster and cooler...and the performance is there. I upgraded to a i7-4790K on 02/06/2015 my original CPU wasn't stable past 4.2GHz overclocked...and since this build was intended to be maxed out...the i7-4770K was no longer the MAX CPU for my motherboard. CPU Cooler - I was torn between air and water. I do NOT like the idea of liquid inside my expensive new machine. I DID go with an AIO to begin with. I bought an Antec Kuehler 920. The night I built my machine, I installed it. Temps shot up to 90C. The actual pump was DOA. That was enough for me. 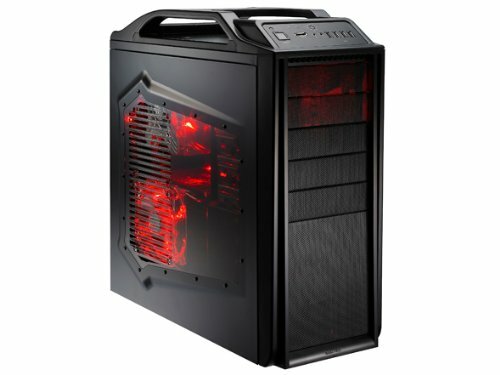 I ordered the CM Hyper 212 EVO the next day. Wish I had started with it. It's everything you need in a cooler, and at a fantastic price. MUCH easier to install as well! 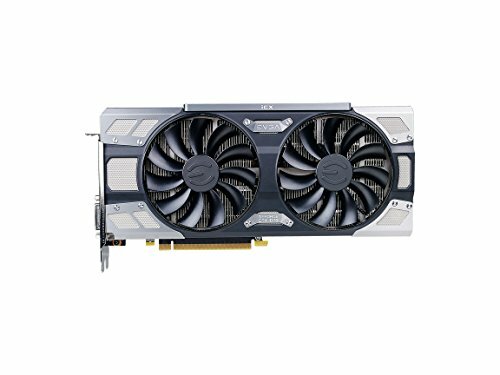 GPU - I must have changed my mind a dozen times over the GPU. New cards kept coming out, prices kept dropping. I wanted a Titan, but $1000 was pushing it. I fell in love with and bought an ASUS ROG Mars GTX 760x2. My mistake was not realizing the card was 11" and my case only took 10.5" max. The Mars was faster than a Titan and only $650, but didn't fit my case. I ended up sending it back and ordering the EVGA GTX 780Ti. It was $70 more. I considered some non reference cooler designs, but they were all over 10.5" long, and I REALLY wanted a reference cooler. I like how the hot air exhausts out the rear of the case, and they look KILLER. I ordered a backplate for my card. I think it just adds the finishing touch. AMD was never a consideration. Because of heat, power and especially noise. Beyond that, I already had bought an Nvidia Shield and wanted to stream games from my PC, so AMD was out. Update I replaced the GPU with an EVGA GTX 1070 FTW2 on 2/13/17 HUGE upgrade! 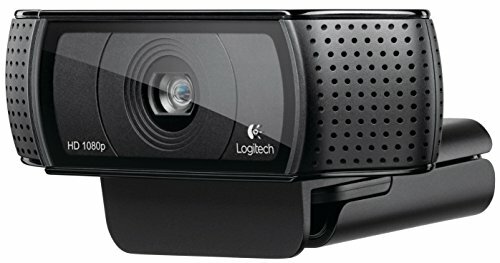 I am no longer interested in a triple screen setup. Gaming at 2560x1440 @ 144Hz is where it's at! 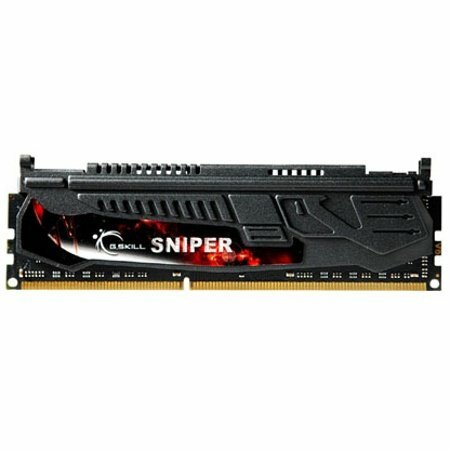 RAM - I wanted G.Skill, a brand I know and trust. I wanted 32GB of RAM. Overkill? Maybe. But every board I've ever owned, I always get 2 sticks, and says I'll get the other 2 "later" when I need them. When later comes around, you can't find them, or because a newer type of RAM came out, the old RAM is ridiculously priced. Keeping with the "let's max this board out" I did just that. CPU was maxed, RAM maxed as well. Now I can play around with the RAMDisk software that came with my motherboard. PSU - OCZ is another brand I know and trust. At the time I bought my PSU, I got what I felt was the best deal around. I'd been looking for a while. I wanted a fully modular PSU. I don't want extra cables cluttering up my case. I wanted at least an 850w, so I have the ability to SLI. This PSU met and exceeded all expectations. This was probably the hardest thing for me to buy. Just to spend cash on. My last build was in 2003. 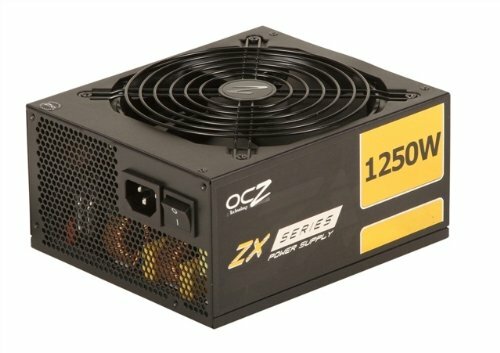 In 2003 you bought a case and it came with a PSU for $40. That was all you needed back then. So the case and PSU on this build about killed me! Optical Drive - Pioneer is a brand I know and trust and have used for years. This was also one of those items that I wanted to be completely bland, bare, and generic looking, with a completely flat tray cover etc. This drive met all of my requirements. And yes, I want to burn Blu-rays. Otherwise I would have just bought a DVD writer. 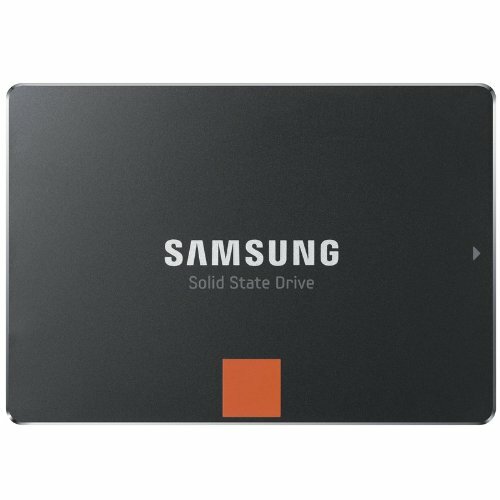 SSD - If I was buying one, I wanted the best. I also wanted what I felt was big enough for an OS drive, plus some basic apps. The best is subjective, but the Samsung 840 Pro is at, or near the top of every performance and benchmark comparison I looked at. 256GB is a decent size for my intended use. This is my first SSD. It's not going to be my last. AMAZING performance!!! 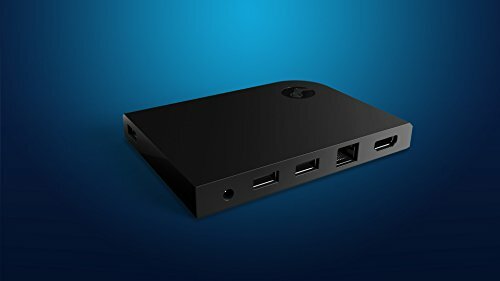 HDD - Another choice I somewhat agonized over. Western Digital, I trust them, used them for years. But I have had a few fail in recent years. I thought about Black, but ended up going Red. Even though I am NOT using RAID right now, eventually that is my plan, as I add more drives. Because of that, I went with the drive that does RAID the best. I chose Red. 3TB was big enough for now, and was on sale at a great price. This is a 5400 RPM drive that replaced the Seagate 1TB 7200 RPM drive that was given to me when I built the machine. For a data drive, I can't see where it's any slower. And when I eventually RAID it, I'll gain performance. Update 1 I added second Western Digital 3TB Red drive 06/17/2014 have not set them up as a RAID array yet. Update 2 I added a Western Digital 6TB Black drive 03/01/2016 because my Steam drive was getting close to full. Update 3 I added a Western Digital 6TB Black drive 05/19/17 to replace my Data drive which was getting full. Update Notes Both Western Digital 3TB Red drives were removed at this point, as they will be going into my NAS/Media server. I never did go RAID the pair of 3TB Red drives as original planned. OS - Microsoft Windows 7 Pro. Has everything I need. I never really considered 8. I don't have, and absolutely do NOT want a touch screen for my desktop. Last thing I want to do is buy some beautiful monitor(s) and then start getting fingerprints all over them. 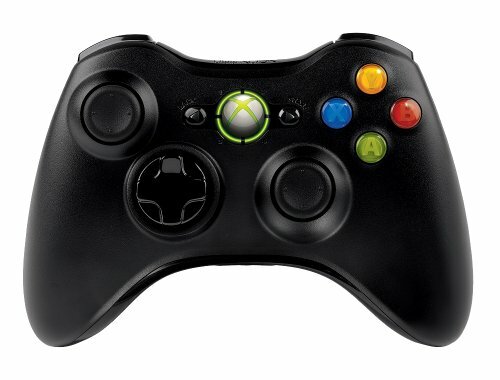 If I wanted touch screen gaming, I wouldn't have built this machine, I would have bought a new tablet instead. Update I upgraded to Windows 10 the week it released. Monitor - I already had the Sony 24" 3D display. I didn't have it hooked up when I started building this system. For consoles, I am too used to sitting on the sofa, and just never got into using this screen. For the new PC, it's AMAZING! On a desk you sit closer, and for now, it's PERFECT! Not sure what I'll replace it with. I've been thinking about triple 27's. But the new LG 21:9 34" looks AMAZING too. For now this works. The built in speakers, that's a bonus. 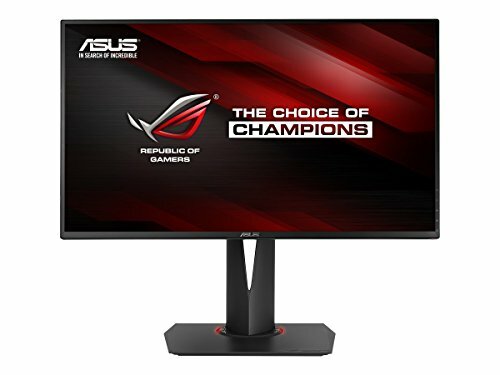 Update I replaced my Sony monitor with a new ASUS ROG Swift on 02/06/2015 eventually I want three of these...which will mean a new SLI set of cards eventually. Headset - I had a Turtle Beach X31 headset for my 360. I knew I wanted something that was at least that good or better. I definitely wanted wireless. 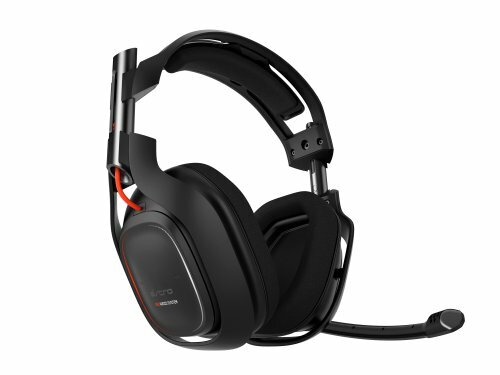 The Astro A50's blew me away! They are SUPER comfortable, with outstanding audio quality. One of the easier choices, I'm most happy with. Keyboard and Mouse - I'll group these together, since they were bought more or less as a set. 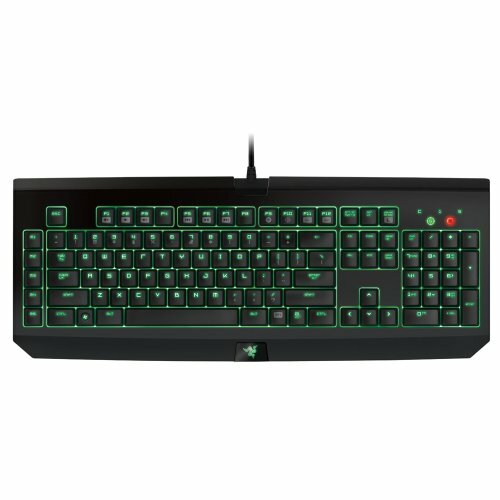 I really kind of wanted red...but I definitely wanted mechanical backlit keys. Mechanical keys were #1, and backlighting was #1A on my list. These were setup on display at Best Buy. Aesthetically I might of preferred the Corsair Vengeance keyboard and mouse with the red lighting, and I really would of liked to try one of the Mad Katz R.A.T. mice, but none of them were on display. These felt GOOD, comfortable. 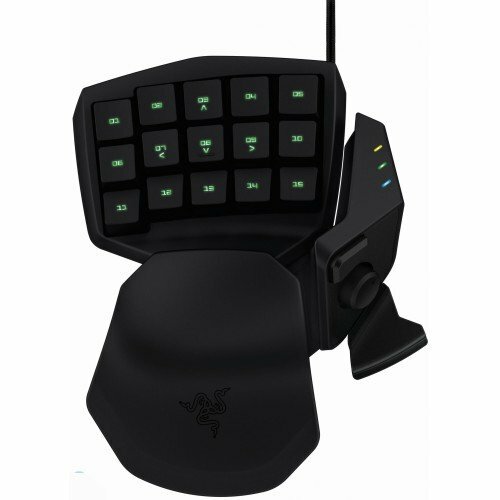 And I've got a lot of gaming friends that speak highly of Razer...plus I want a matching Orbweaver! I already added green lighting with the GTX 780Ti so a little more won't kill me now. Plus any/all of it can be turned off if I choose. OC Panel - I was looking for something to add a little useful bling to the build. 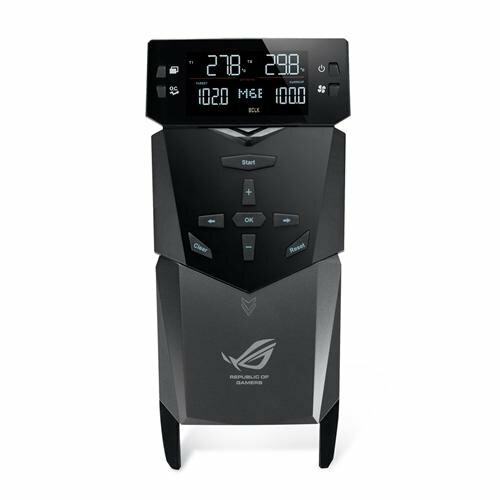 I was looking at a few LED touch screen info panels already when I saw the ASUS could finally be purchased separately. It's the one thing that made me really consider getting the Maximus VI Extreme over the Formula. In the end, the motherboard armor, and the promise I could buy one of these in the future led me to buy the Formula. I was happy ASUS kept their word. Intended Use - Gaming first and foremost. I'm a gamer. It's what I do. But this is my primary machine. 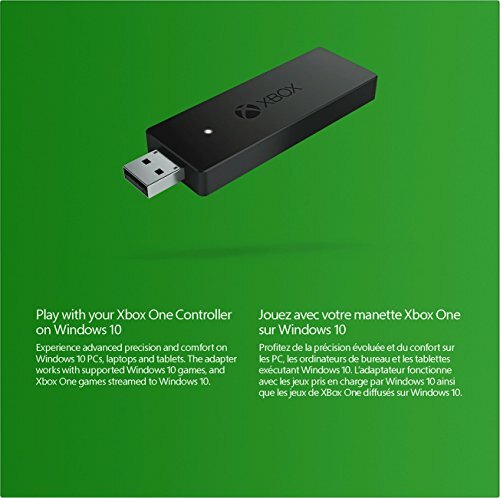 So anything and everything that you can use a PC for, this will get used for most of it at some time or another. Reason to Build - It started when I watched the reveals of the Xbox One and Playstation 4. I wasn't thrilled over either. I was downright pissed over the Xbox One. I had completely planned on buying both on launch day. That quickly turned to screw it, back to PCs I go! I had been a PC gamer from mid 90's in college until the PS2/Xbox systems. I went to consoles at that time. They were easier. You knew if you bought a game, they would work. I had gotten married, and with that came all new responsibilities and bills...Consoles seemed cheaper...but in the process of accumulating parts for this build, I realized how wrong that thinking had been. Between Humble Bundle, and Bundle Stars, as well as Steam sales etc...I had starting building a library of games, so I'd have plenty to play when the new machine was built. 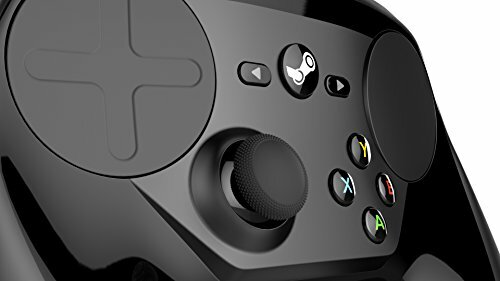 Sure the hardware is more up front, but the games are so much CHEAPER...and no ridiculous online "service fee" to play like Xbox Live and Playstation Network charges. Budget - I was all over the place on this. Mostly because of constantly changing my mind about what video card(s) I wanted. I've been working a LOT of overtime. We've been working 6 days a week for 2 years now. So I figured if I am giving up all of my Saturdays...I really want something tangible in return. I talked to my wife, and we agreed. The regular portion of my check was for bills, and living expenses. Any overtime, was mine to spend how I wanted. This is how I wanted. I'm far from rich, but without the overtime, no way could I have justified spending this much on a build. I would have tried to stay around $800 - $1000 max, and it would of taken longer to build. Prices - Some of these probably look off. But they are actual prices I paid, at the time I bought the items. My first purchase was July 2013, and I put the machine together in February 2014. I hit a few things on sale...so it is what it is. Had I saved every dime, and bought them all at once, toward the end, maybe I could of saved a few bucks overall. But I've never been good at saving really. I make too many impulse buys. Like when I bought an Nvidia Shield in November 2013. That made my build take a few weeks longer...But damn it's been FUN to play with! May I ask how you applied the thermal paste to the cooler / CPU? I have the same cooler with a 4670k, but my temps are not that great when I overclock to even 4.0Ghz. Gets up in the 70's C when running Prime95 after a few minutes. I will soon be replacing the paste, just wondering your method. Pea sized blob in middle of CPU. I haven't benchmarked yet...wasn't too worried about it yet. 65º C is the highest I've seen after I've been gaming for a few hours. I was more worried about real world numbers. I might benchmark it sometime, but it's running great with no issues. DON'T use P95 for a reliable estimation of max temps, since they can't physically get that high... ever. I recommend Aida64 for your CPU, since P95 get's my i7 4790k (1.113v, 4.2GHz) up to 99c on some cores, and we've got a pretty similar architecture. Aida64 on the other hand only gets it up to a maximum of about 50c~ - whilst running an iGPU stress test at the same time! (pretty good, eh?) If you were to use the 212 Evo (like me), the question of how much to put on has already been answered, and CM's thermal paste isn't too bad. What are your idle temps? I upgraded from an i7-4770K to a i7-4790K recently...still using the CM Hyper 212 EVO and the idle is around 38-41ºC now. Which is definitely higher. Max temps I've seen is 61ºC after a few hours of gaming...so I haven't gotten too worried. Very nice build. Only thing I would change is the case. But that is very subjective, I just prefer full size towers. I liked how it looked. But it actually makes the card more rigid, and protects the backside of the card, and EVGA claims it lowers temps by 3º C.
Very nice. Definitely looks cool. Lowered temps is awesome though. Especially for when I sandwich the 2nd card in there. It was really only $20? Where did you get yours? Direct from EVGA? They are currently out of stock. When you want one, add it to auto notify...and as soon as you get notified, order it immediately. They were out of stock within an hour the first two times. The third time, I got one. I think they are the finishing touch on the cards. They should of came with one installed. One last note, you will need a Torx head screw driver or bit to install this plate. I don't recall if it was a T6 or bigger. I have a complete set, so I just grabbed the one that fit. Just got mine installed. Looks great. For whatever reason mine had all 00 phillips screws, no torx. Thanks again for the info. Upgraded my CPU from an i7-4770K to an i7-4790K. Upgraded my monitor from the Sony 24" Playstation monitor, to the ASUS 27" ROG Swift. The ROG Swift is AMAZING!!! Finally uploaded the pictures from the ROG Swift unboxing. 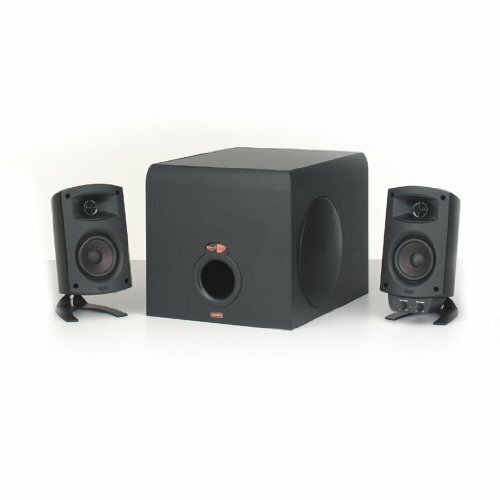 Bought a set of Klipsch ProMedia 2.1 speakers yesterday. As much as I love my Astro A50's...sometimes I just wished I had speakers. Now I do. Amazing speakers. Can't stand the aesthetics of the Noctua coolers. Especially the white fans. The CM Hyper 212 Evo does everything I need it to. Wouldn't much matter what cooler I went with, my CPU isn't a great overclocker. I'm not temperature limited, so why pay more for something I like less? I can easily add a second fan to this cooler if I need it. No real need. Okay,I just assumed you were overclocking. Totally understand the aesthetics argument on the Noctua fans, but I took the plunge to try them out on my HTPC, since they are mostly hidden in there, and I don't know if I can ever go back to anything else. I actually included them in my remodeled main build, looks be damned, that I'm in the middle of. Might want to look into the Redux line (in grey-ish/black color) from them. Not their top of the line, but their stuff just oozes quality. I'm perfectly happy with what I've got. It meets or exceeds my performance requirements, and I'm happy with how it looks, all at a price that is basically unbeatable. Sometiems more is just more. This is all I need. Cool, quiet, efficient. 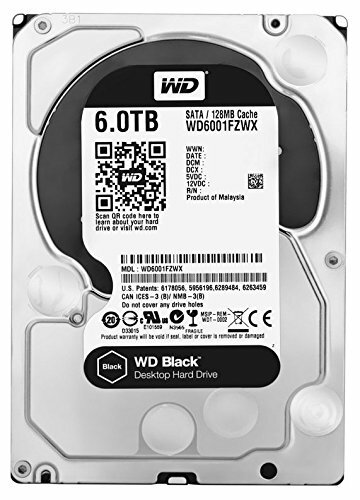 I did a lot of research comparing the Black and Red drives from WD primarily. The fact that the Red drives are optimized for multi drive systems, and run cooler, have better vibration damping...and better capacity per $$$ than the Black drives...I felt the Reds were the better value, and would be everything I needed them to be. And I'm happy with the performance. A lot of people get hung up purely on numbers. 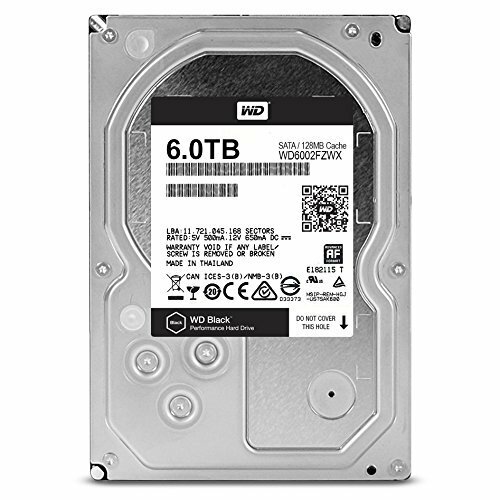 There are 10,000 and 15,000 RPM drives on the market as well...The trade off is speed over capacity. I was more worried about capacity over raw speed...and long term durabilty.